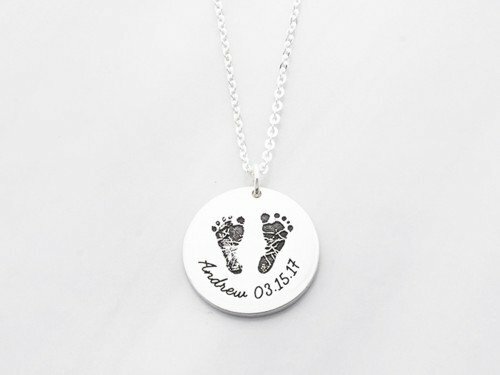 Can't get enough of your newborn? 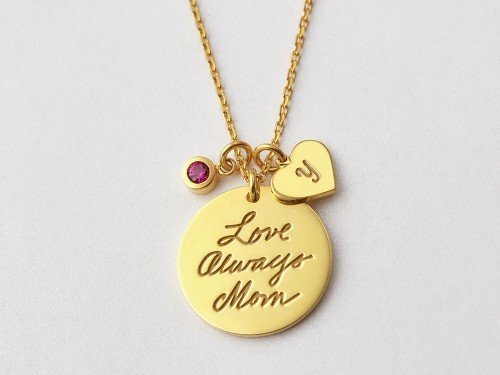 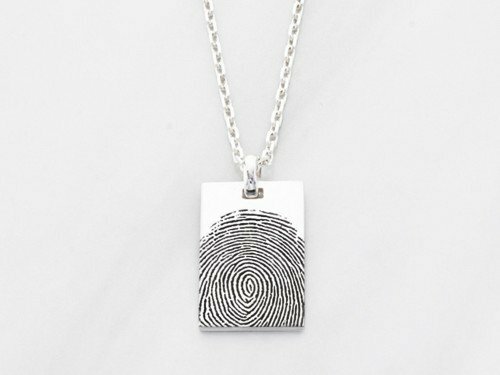 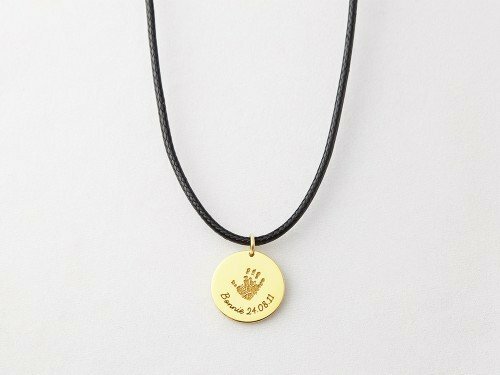 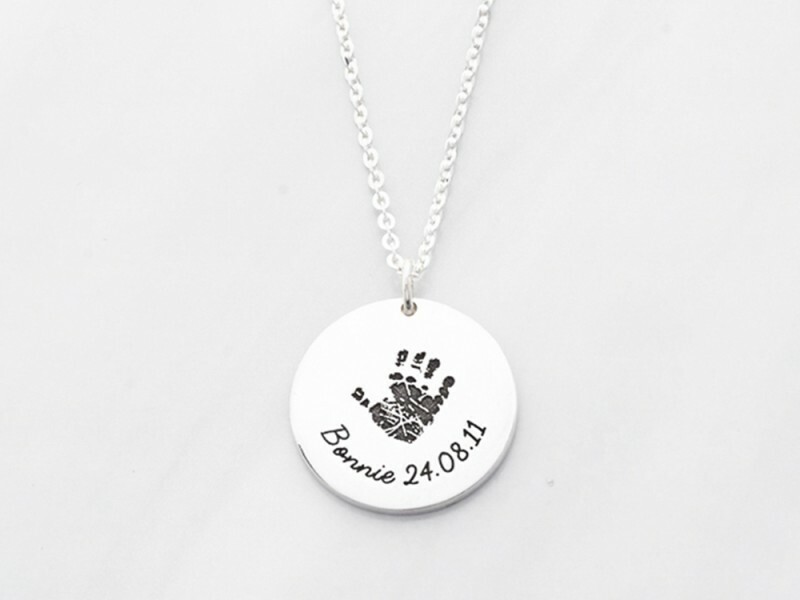 Hold their lovely hand always with this handprint necklace. 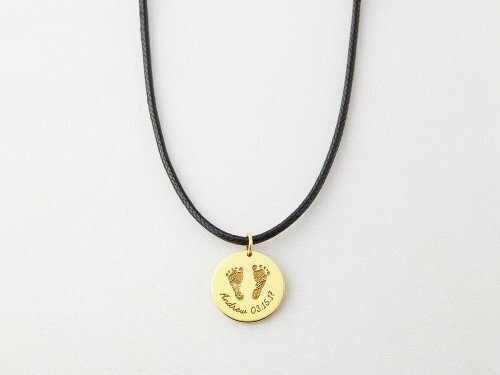 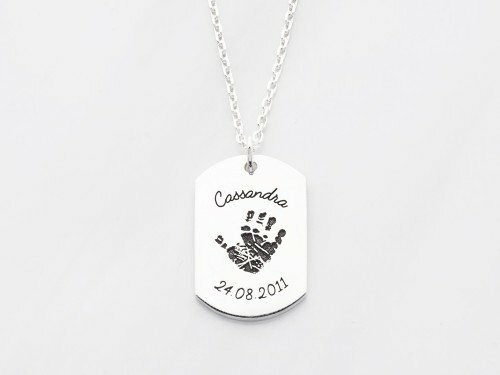 Perfect gift for any new mom or baby shower, this necklace can be made with a simple photo of your baby's handprint or footprint. 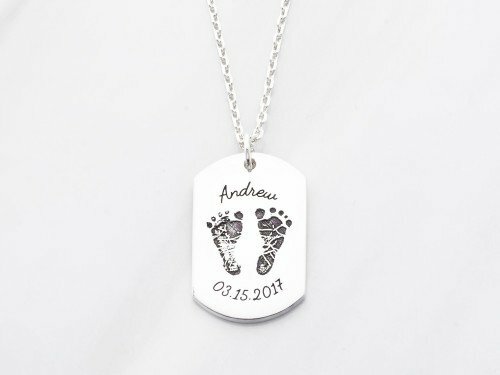 Personalize it further with the baby's name or birthday at the bottom. 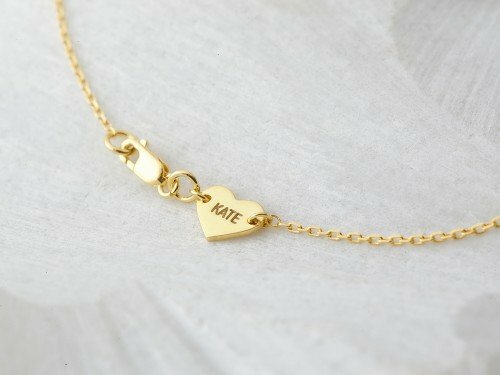 - You could add a custom phrase at the bottom at no extra charge. 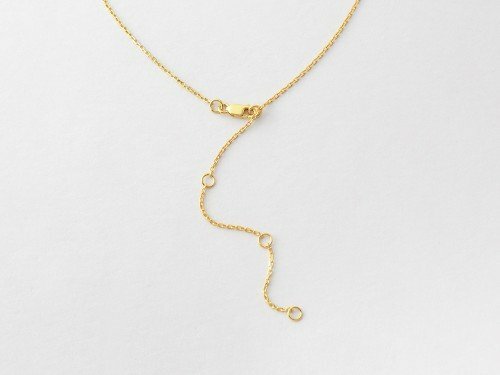 Word limits:: 2-3 words. 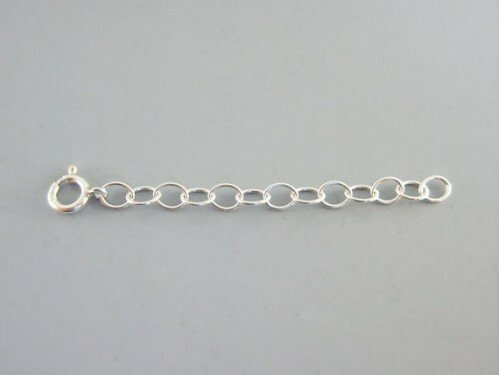 Leave text box blank if you do not want any word.